Nabisco, Belvita, Soft Baked Breakfast Biscuits Variety Pack, 8.8oz Boxes (Pack of 4 Different Flavors) | SleepyChef.com | everything breakfast! 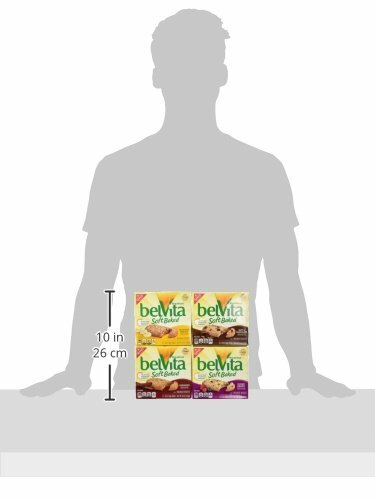 Crunchy belVita Breakfast Biscuits are a nutritious, convenient breakfast choice that contain slow-release carbs from wholesome grains to help fuel your body all morning. These crunchy biscuits contain 18 grams of whole grains per 50 gram serving, and are a good source of fiber and B-vitamins. They contain no high-fructose corn syrup, no partially hydrogenated oils (0 grams of trans fat per labeled serving), and no artificial flavors or sweeteners. 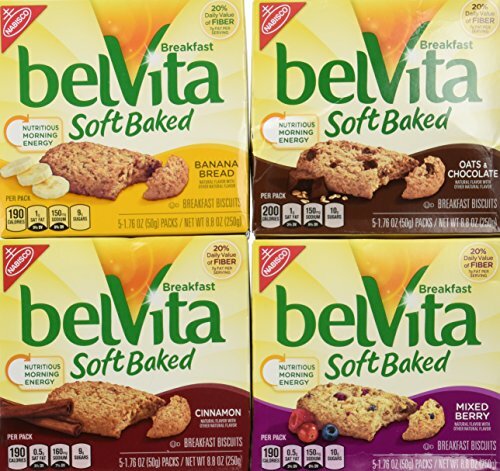 belVita Breakfast Biscuits are a choice for breakfast that fits into today\'s busy lifestyles. Enjoy belVita Breakfast Biscuits as part of a balanced breakfast with a serving of low-fat dairy and fruit, such as a low-fat Greek yogurt and berries.